It is estimated that the output value of LED lighting will reach 17.8 billion US dollars in 2014. According to the latest silver membership market report of LEDinside, the global energy research institute of TrendForce, the global LED lighting penetration rate is rapidly increasing. In 2014, the output value of LED lighting will reach 17.8 billion US dollars, and the total number of LED lighting products shipped will reach 13.2. Billion only, up 68. Among the LED lighting markets in various regions, the North American market government is gradually increasing its support for LED lighting. The number of subsidies for lighting products, such as EnergyStar, has increased rapidly, which has led to further reduction in the price of LED lighting products. Manufacturers such as CREE are optimistic about the development of LED lighting market in 2014, and expect sales growth of replacement lighting products to become the next business focus. According to LEDinside data, the growth rate of LED lighting products in North America is expected to reach 72 in 2014. In addition, in Latin American countries such as Brazil, the LED lighting market is showing rapid growth, and it is estimated that the LED lighting product usage growth rate reaches 64, especially the LED commercial market is the most significant growth. In the European region, which is a mature market, although there is no large-scale subsidy policy, its high electricity price and the difference in light culture make the demand for commercial lighting and outdoor building situation lighting applications continue to be in demand. In the next few years, the incandescent bulbs will be completely banned in the next few years. The impact of policy fermentation, the market is expected to continue to show steady growth, the growth rate of LED lighting products in 2014 is expected to reach 69. In the Chinese market, not only emerging LED manufacturers are actively deploying the LED light source market, but traditional lighting manufacturers with brand and pipeline advantages are also actively adopting a two-pronged approach of network and physical stores to expand the LED lighting business. The Chinese government is also working hard to subsidize policies. Active role to promote the development of the LED industry, while at the same time to resolve the overcapacity caused by excessive upstream equipment subsidies and corporate failures. LEDinside estimates that China's LED lighting product usage growth rate will reach 86. Fits for Hyundai series. Mainly for 09Tucson, 15Tucson, 11IX35, 18IX35, 12IX45, 17IX45.Mainly made of PP material Keep the contents of your trunk private with this high quality retractable and removable tonneau cover. 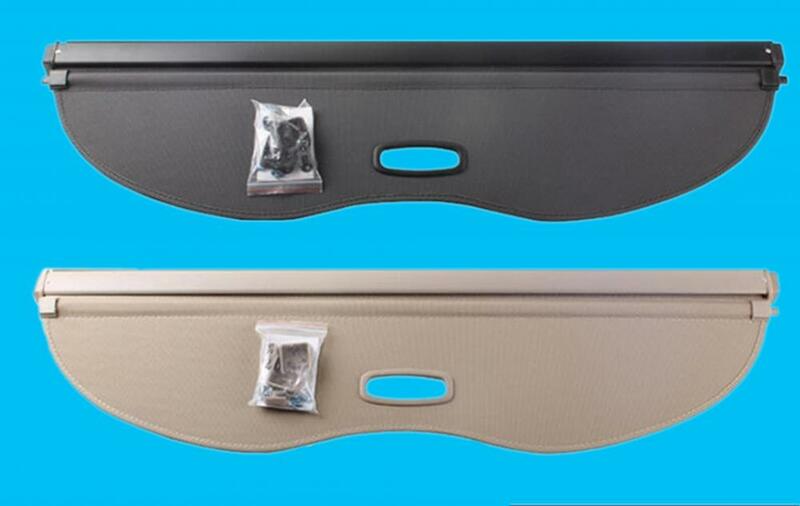 easy to use, install, and remove, this cover will easily improve the versatility of your vehicle as both storage and a safer environment for transport of your items! help protect your belongings from damaging UV rays and help keep Items out of sight. strict factory quality control, perfect fitment.